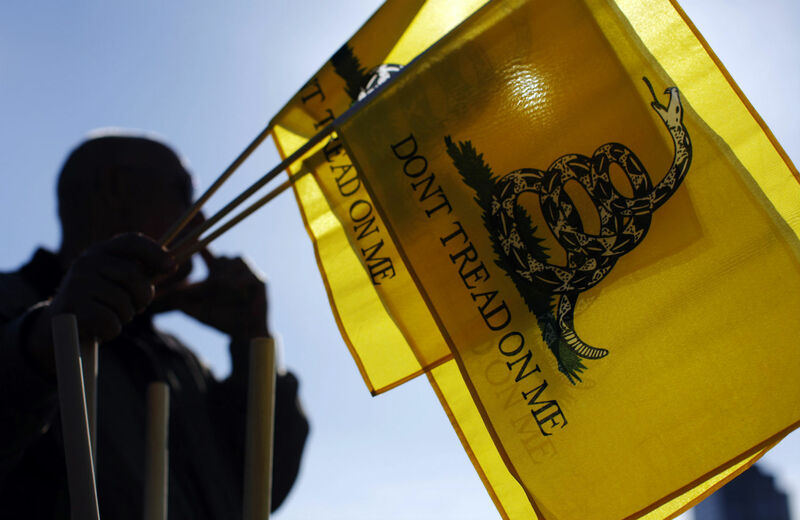 The Tea Party insurgents may be troublemakers, but they don’t outweigh the Republican establishment. If Chris Christie, Scott Walker, John Kasich and perhaps Bobby Jindal—orthodox Republican conservatives all—hope to run for president in 2016, they’ll may have to perform a tricky maneuver: winning the backing of the GOP’s mainstream, big-money donors, including the US Chamber of Commerce, while rallying the electoral support of ultraconservatives who support the floundering Tea Party movement. But it might turn out that the Tea Party isn’t so influential after all. Tea party challenges have fizzled in Kentucky and Texas. They are fading in Kansas, Tennessee and South Carolina. And even in Mississippi—where Sen. Thad Cochran is a vulnerable incumbent—the tea party insurgent struggles to explain his recent skeptical reaction when asked about Katrina relief funding. Two influential writers who’ve penned articles for The National Interest, both credentialed conservatives, have analyzed the GOP’s ongoing civil war, or civil strife—or as Senator Mike Lee of Utah, a Tea Party favorite, called it yesterday at the Tea Party Patriots meeting, “civil debate”—and, in the articles and in follow-up interviews with Christie Watch, they outlined their takes on where the GOP might be headed. People have been excited about the Tea Party and the insurgent forces. But the fact that they were able to play such a big role on the debt ceiling doesn’t mean that they have taken over the Republican party or defeated the establishment. Normally, the establishment wins. Looking ahead to 2016, they should be able to incorporate—or perhaps co-opt is a better word—the Tea Party and move on. In a parallel article in The National Interest, “The Four Faces of the Republican Party,” Henry Olsen, a fellow at the Ethics and Public Policy Center, a conservative, “Judeo-Christian” think tank in Washington, breaks down the divisions within the GOP. In it, he wrote, the biggest bloc, representing 35–40 percent of the Republican vote, are the “somewhat conservative” voters who “have a significant distinction: they always back the winner”—successively, Bob Dole (1996), George W. Bush (2000), John McCain (2008), and Mitt Romney (2012). The second largest bloc is the GOP’s “moderate to liberal” one, representing about 25–30 percent of all GOP voters. (In others words, liberals, moderate and somewhat conservative voters represent something like 60–70 percent of the party.) Olsen says that Christie, Kasich, Walker and Paul Ryan are competing for these voters most of all. On the other hand, he writes, very conservative voters make up the rest, a minority. The “very conservative evangelicals” are about 20 percent, and the “very conservative, secular” bloc is perhaps 5–10 percent of the GOP vote. In primaries, of course, the true believers, including the most conservative, militant Republicans, tend to turn out more heavily, skewing their influence. Nor do the Tea Party Senate primary victories appear to presage a sea change in GOP attitudes. They generally have two characteristics unlikely to pertain in the 2016 presidential race. First, they occurred primarily in smaller states in the South and West. While these states hold the balance in the Senate, they do not elect most of the delegates needed to win a presidential nomination. Larger states, especially California and those in the Midwest and Northeast, still have substantial power to influence the nomination contest. As importantly, these victories tended to occur in one-on-one races or races with only two serious candidates. Tea Party candidates fared much worse in multicandidate races. In presidential contests, multicandidate races are the norm until well into March, suggesting a Tea Party candidate will find it difficult to win in the early stages. In an interview with Christie Watch, Olsen notes that according to polls Christie is “most favored by the moderate-liberals in the party and least favored amongst the very conservative. As a result, he said, he’s most likely to do well in primary states, such as New Hampshire, and less likely to do well in caucus states, such as Iowa—no surprises there. But, Olsen told Christie Watch, center-right, establishment Republicans, which he described as led by “businessmen, managers, entrepreneurs”—i.e., Chamber of Commerce types—are, unlike very, very conservative voters and the Christie right, “spread out and influential in every state.” So that means that Christie, along with Jeb Bush, Paul Ryan and Scott Walker will be pushing hard to appeal to these voters. The setbacks that Christie has suffered, says Olsen, mean that—unlike George W. Bush in 2000, who created an aura of invincibility early on—Christie won’t be able to create an early bandwagon for the nomination. “That’s been put on hold by Bridgegate,” he says. Interested readers can get the latest complete polling data from a New York Times/CBS poll about 2016. What it shows, remarkably enough, is that as many as 59 percent of Republican and independent voters say that they “don’t know enough” about the various possible Republican challengers. Best known, by far, are Jeb Bush and Chris Christie, whose “don’t know enough” numbers ranged from 26 to 35 percent. Of those who did know enough to voice an opinion, 41 percent of Republicans and 33 percent of independents said that they didn’t want Christie to run, reflecting no doubt a mix of Tea Party types who despise and him and others simply turned off by the post-Bridgegate scandals. (Thirty-one percent of Republicans say they want Christie to run.) For Bush, who says he’ll announce whether or not he’s running later this year, 27 percent of Republicans and 44 percent of independents say that they don’t want him to run.